The fishing vessel TG92942 suffered an explosion in it’s engine room while fishing in the South China Sea (07 53N 108 32E). All four crewmen were injured, but were able to send out a distress signal. A nearby vessel responded and transferred the crewmen off the TG92942 and proceeded to the BP Lan Tay gas field for treatment. 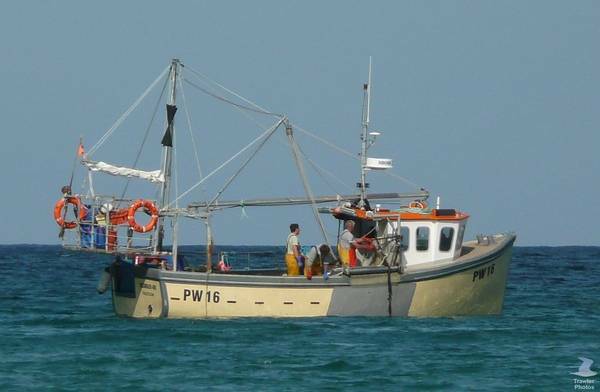 The fishing vessel Tizzardlee-on became disabled off Park Head off Newquay, Cornwall when it’s propeller became fouled by rope. The three men on board contacted the Newquay RNLI which launched their lifeboat. The lifeboat reached the scene and took the Tizzardlee-on under tow back to Newquay. As the pair of the vessels approached Newquay harbour, they determined that the wasn’t sufficient to allow the fishing vessel to enter. The Tizzardlee-on was moored to a buoy in Newquay Bay. No reports of injuries or pollution being released.